London, Spink-Leger Pictures, 'Air and distance, storm and sunshine' Paintings, watercolours and drawings by David Cox, 3-26 March 1999, no. 19. 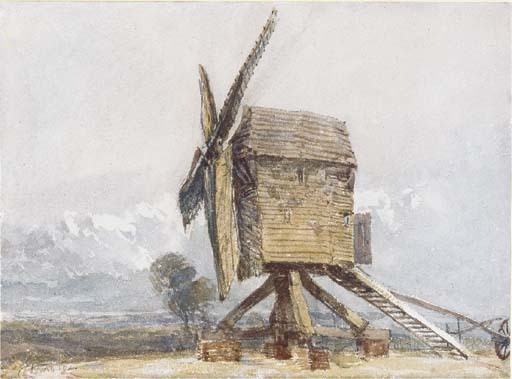 A similar watercolour depicting what is thought to be the same windmill was sold at Christie's, London, 14 June 1983, lot 69 (£1,620), as Travellers passing a mill.